This is an office building in downtown Tulsa. I like to wander around town during my lunch hour taking photographs of what I see. I use a variety of cameras. I took this one with my Apple Ipod Touch using the Hipstamatic App. I love using different filters and effects and Hipstamatic has quite a few to play with. I’m not much of a purist when it comes to “SOOC” and I don’t think that the term has any meaning any more with all the various things that can be done “in camera” with images. I also love posting images on Instagram. 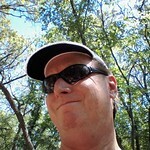 Check the sidebar for my latest Instagram photos. I’m participating with Gaelyn’s “Foto Friday Fun” meme. Go check it out, come up with a number and she’ll match the number with a photo from her archives. And her archives contain tens of thousands of great photographs. 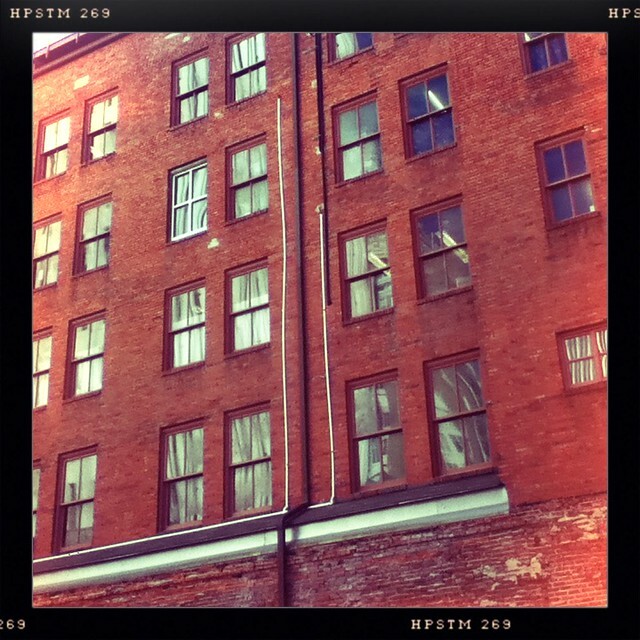 This entry was posted in Foto Friday Fun and tagged Brick, Buildings, Foto Friday Fun, Hipstamtic, Instagram, Iphoneography, Ipod Touch, Reflections, Tulsa on September 5, 2014 by Alan Bates.